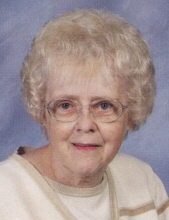 Margaret Grinnell, 79, of 339 E. Jamestown Rd., Greenville, (West Salem Twp. ), PA, formerly of 145 Leech Rd., Hempfield Twp., passed away at 5:05 pm on Thursday, March 28, 2019 at UPMC Horizon Hospital in Greenville. She was born in Greenville, PA on October 31, 1939 to the late, Frank M. and Betty B. (Hamilton) Mariacher. Margaret was a 1957 Penn High School graduate. Most of her time was spent taking care of her son, Ricky, who preceded her in death from complications of spina bifida. She enjoyed crocheting and going to casinos. Margaret was a kind and giving person, who was always thinking of others. She was married to Gerald L. Grinnell on August 18, 1961 and he preceded her in death on June 13, 1995. Margaret is survived by: brother, Frank M. Mariacher, Jr., and his wife, Karen, of Arlington, TX; two sisters, Theresa A. Reash, and her husband, Donald, of Greenville, PA, and Carol A. Herrick of Greenville, PA; and many nieces, nephews, great-nieces, and great-nephews. Memorial contributions can be made to: American Cancer Society, P.O. Box 22478, Oklahoma City, OK, 73123 or online at www.cancer.org, or Spina Bifida Association of Western PA, 320 E. North Ave., Pittsburgh, PA, 15212. Messages of sympathy, stories, and photos can be shared at: www.osborne-williams.com. To send flowers or a remembrance gift to the family of Margaret Grinnell, please visit our Tribute Store. "Email Address" would like to share the life celebration of Margaret Grinnell. Click on the "link" to go to share a favorite memory or leave a condolence message for the family.